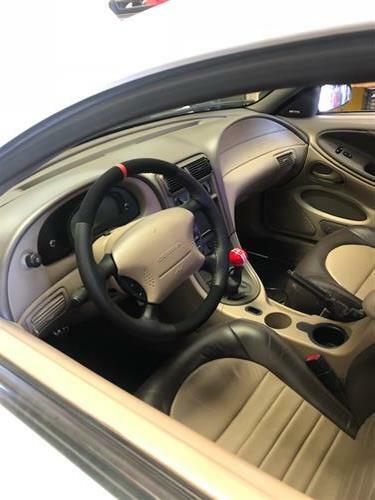 Add race inspired styling to your interior with this 1994-2004 Mustang FR500 style steering wheel w/ red reference stripe! 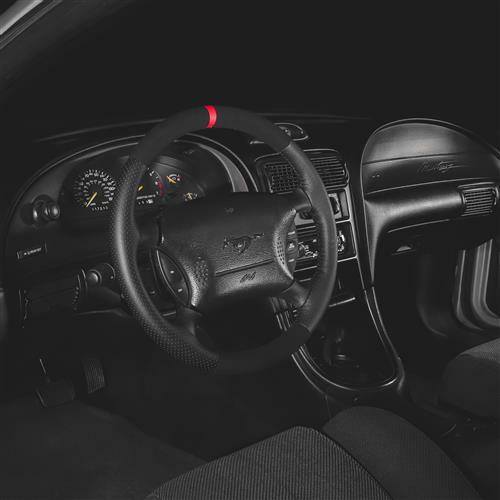 Replace your faded, ripped, or worn out 1994-2004 Mustang steering wheel with this FR500 style steering wheel! 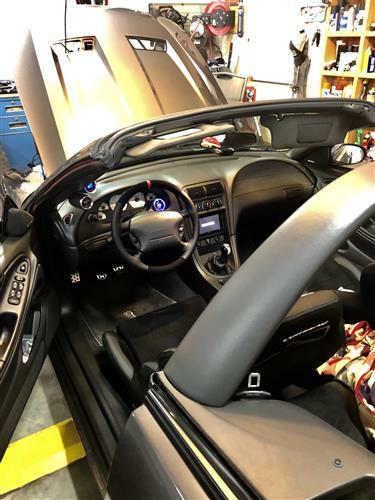 One of the most overlooked parts of your Mustang that sees more use than any other part of the car is your steering wheel. 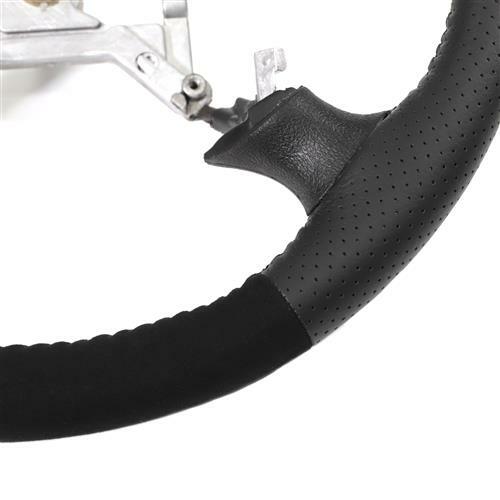 With over 15+ years of use, the factory steering wheel is usually worn smooth and falling apart by now. 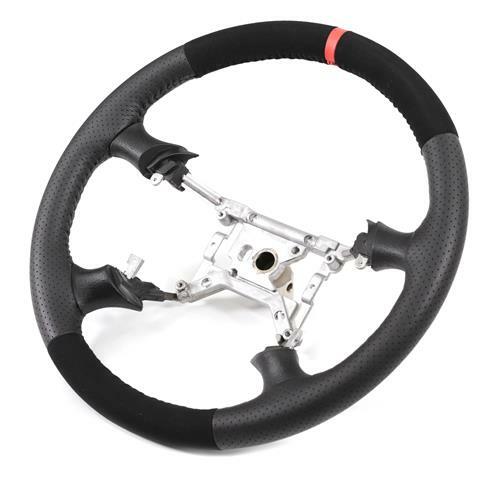 This FR500 style steering wheel has a race inspired design with an overall thicker grip for better control. The wheel features perforated accents and a black micro-suede finish with a race inspired red reference stripe to upgrade your interior. 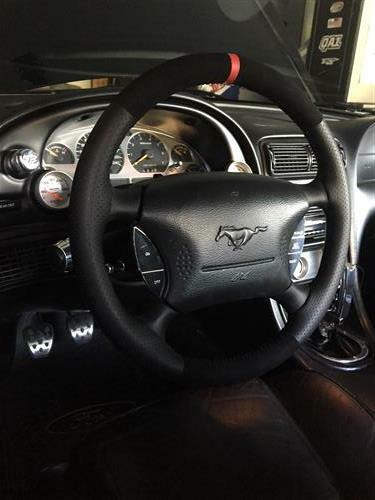 Starting off with a new frame, this Mustang FR500 style steering wheel has the four "stems" around the airbag molded in an OE style textured material. 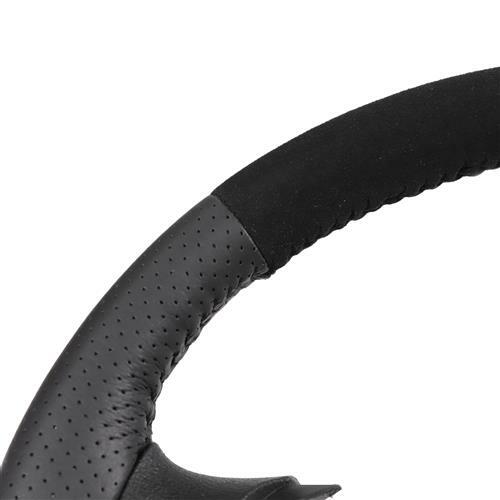 After the molding process, the steering wheel is then wrapped with a perforated simulated leather & black micro suede material with an added red reference stripe. 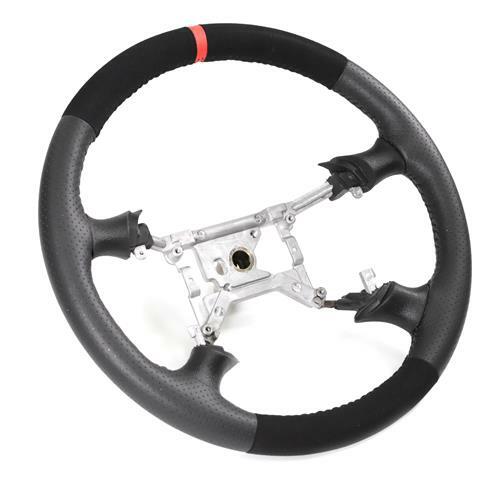 -Excessive force during installation could cause damage to the steering wheel. Ensure the proper tools and force are used to prevent damage. 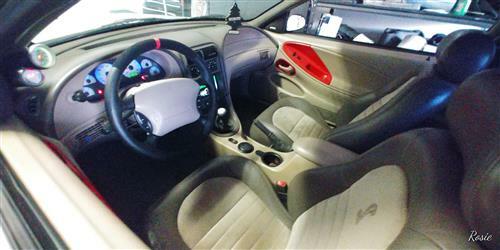 -Ford filed down the extra material on the lower cruise control bolt holes on your factory steering wheel. 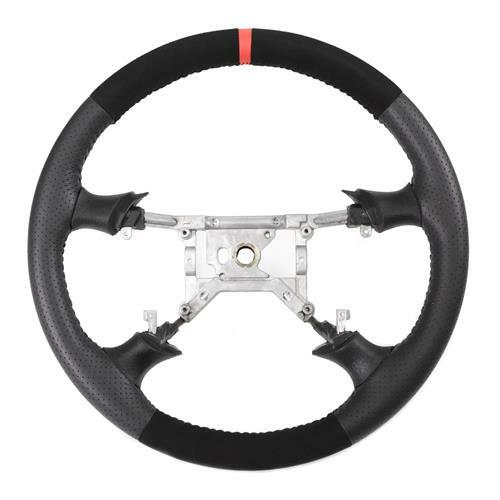 This may need to be completed on your new SVE steering wheel as well. - Will fit 1999-2004 Mustang ,but the black finish is correct for 1994-1998. Hey everybody! 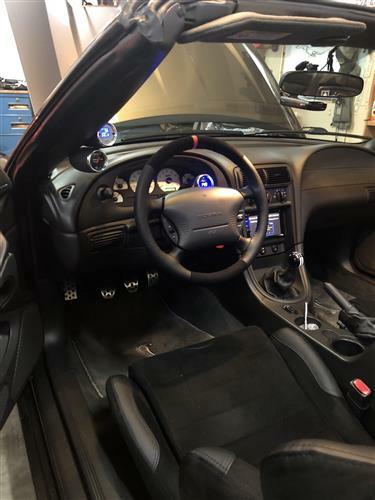 Today we’re going to be taking a look at how to install SVE’s new FR500 style steering wheel, fitting all 1994-2004 Mustangs. 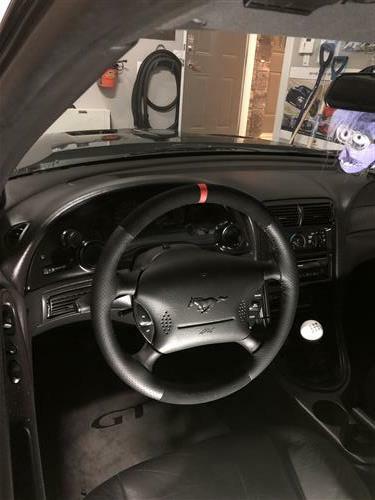 The new SVE FR500 steering wheel for your 1994-2004 Mustang is a great replacement for your old, worn out stock steering wheel. 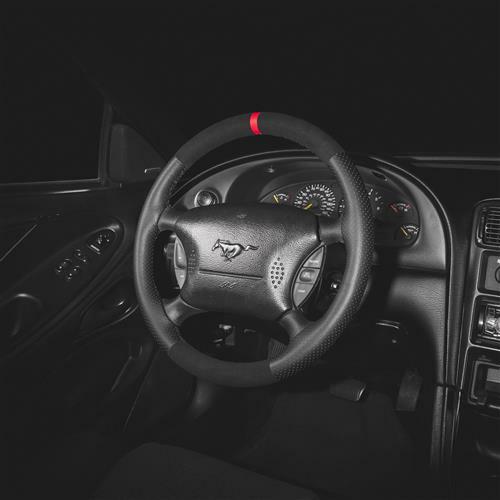 This steering wheel features a race inspired design that gives you a thicker grip for better handling, and control, combined with perforated lateral accents, and high quality stitching that gives your Mustang’s interior a new touch of modern styling. 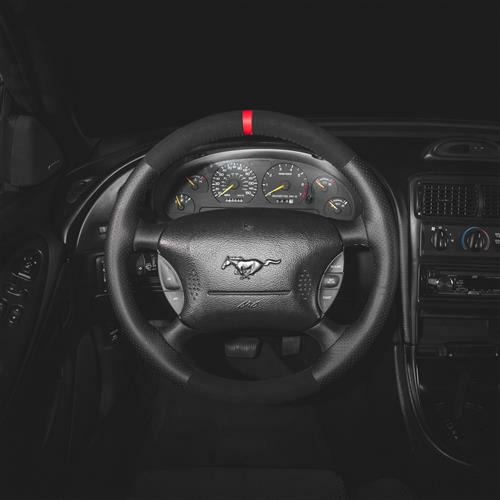 This particular steering wheel will be available in two different variations, one being black for 1994-1998 Mustangs, and dark charcoal gray for the 1999-2004 Mustang interior. 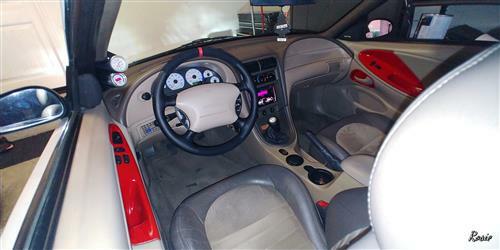 However these two steering wheels will fit all 1994-2004 Mustangs, regardless of interior color. 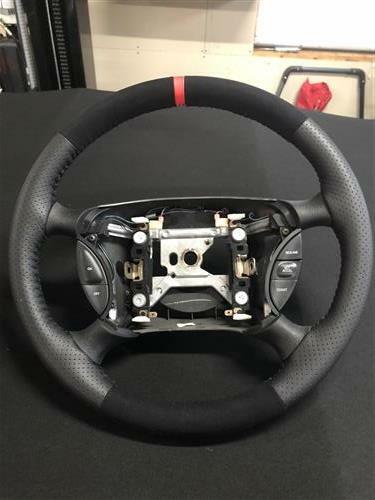 Keep in mind you WILL need a steering wheel puller to install this steering wheel, which you can pick up at LMR.com, or by clicking the link in the description. 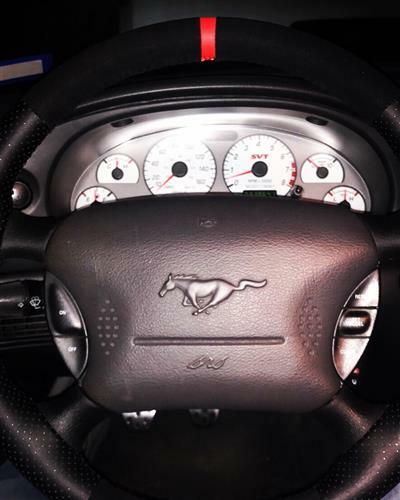 Mustang FR500 Style Steering Wheel. 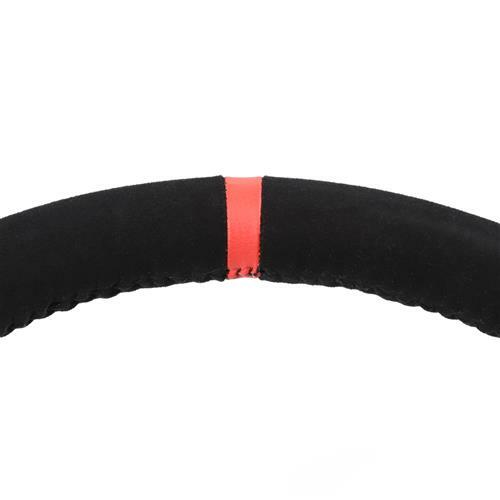 - Excessive force during installation could cause damage to the steering wheel. Ensure the proper tools and force are used to prevent damage. - Ford filed down the extra material on the lower cruise control bolt holes on your factory steering wheel. 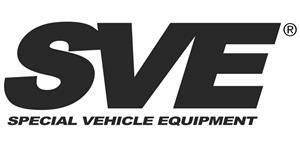 This may need to be completed on your new SVE steering wheel as well.